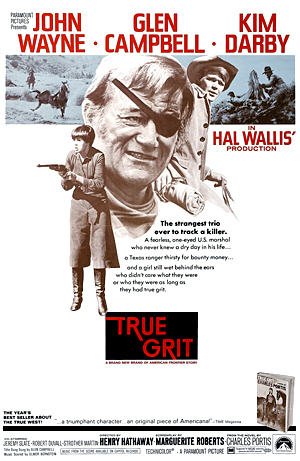 Starring John Wayne, Kim Darby, Glen Campbell, Robert Duvall and Dennis Hopper (amongst others), True Grit (1969) was an American Western classic that told the story of a US Marshall (Wayne) and a Texas Ranger (Campbell), being hired by a young girl (Darby), to help track down her father’s murderer, deep inside Indian territory. The movie was based on the novel written by Charles Portis and was directed by Henry Hathaway. The screenplay, written by Marguerite Roberts, had the distinction of being described by Wayne as the best he had ever read. John Wayne won a Golden Globe and a ‘Best Actor’ Academy award for his role as Marshall Rooster Cogburn. Indeed, in an illustrious career spanning 50 years, it was to be his only Oscar, and is generally thought of as being awarded more for sentimental reasons to honour his illustrious career, rather than for the actual role he played. Many critics actually consider his portrayal of Cogburn as ‘over-the-top’ and ‘hammy’. Kim Darby was not the original choice to play the part of Mattie. Mia Farrow was originally cast, and was thought to be very keen on the role. However, whilst making a previous film in England, she had been advised by her then co-star Robert Mitchum, never to work with Henry Hathaway under any circumstances as he was ‘cantankerous’. For that reason, she approached the producer of “True Grit”, Hal B Wallis, with the request to replace Hathaway in the director’s chair with Roman Polanski, with whom she had previously worked on ‘Rosemary’s Baby’. When Wallis refused, Farrow quit the role. It is believed that John Wayne had promised the part to his own daughter Aissa, but Hathaway refused to cast her. 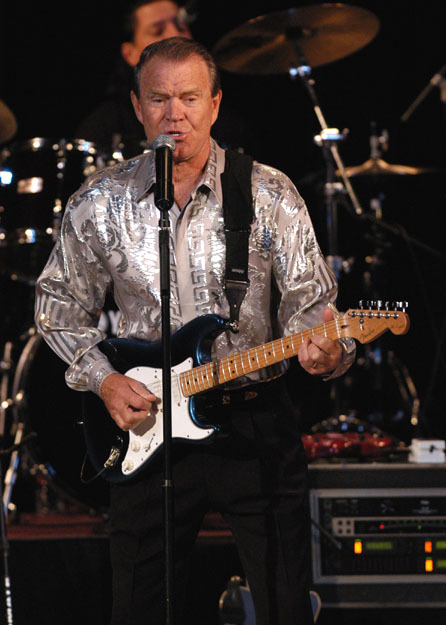 Wayne later pressed for the role to be given to singer Karen Carpenter (The Carpenters) who he had previously met when hosting a show. She actually read for the part, but was turned down, mainly because of her lack of acting experience. Others considered for the role included the likes of Tuesday Weld, Sally Field and Sondra Locke. Kim Darby wasn’t the only member of the cast that Wayne had problems with. It is believed that there was also friction between him and another co-star Robert Duvall. The role of Texas Ranger ‘Le Boeuf’ very nearly went to Elvis Presley, but his manager, Colonel Tom Parker, was insistent that to play the part, he would require top billing. When this was not forthcoming, Glen Campbell received the nod, although Hathaway disliked his portrayal describing it as ‘wooden’. He later went on to claim that the singer was only cast so that he would go on to have a hit with the theme song, therefore helping to promote the movie. Some 6 years after the original movie, John Wayne reprised his role in “Rooster Cogburn”, this time directed by Stuart Millar and co-starring Katherine Hepburn. It was to be his penultimate film and was poorly received by critics, being only a moderate hit at the box office. 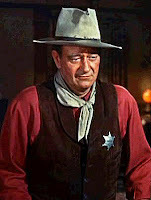 Even with the indifferent reviews, there were plans to make a further sequel entitled “Sometime”, but it never came to anything and Wayne’s last performance on screen came a year later in “the Shootist”. He died of stomach cancer in 1979. In 2010, the Coen Brothers produced a remake of the original starring Jeff Bridges, Matt Damon and Hailee Steinfeld (in the role of Mattie). This adaptation kept much closer to Portis’ book, focussing more so on Mattie’s point of view than the Cogburn character, and has all the hallmarks of the Brothers usual stunning cinematography and authentic dialogue and accents. The fact that Steinfeld is more similar in age to her character doesn’t go amiss either, and her performance is powerful, believable and indeed a joy to watch. The Coen Brothers remake gains an IMDB rating of 7.8, which is a half point better than the original version. It has to be said that both adaptations have their good aspects, but the rating is probably a fair judge on the merits of the two productions. Which version of the movie did you prefer? Did you ever read the book? If so, what did you think? Did either movie do it justice? Can Jeff Bridges be compared to John Wayne?